Val-Matic’s Cam-Centric plug valve is a suitable choice for users who have more than just water flowing through their systems; it is a solution for systems where slurries, grit or solids are present. Its eccentric action allows the plug to rotate and lift out of it seated position, minimizing rubbing and scraping. Advanced features designed for wastewater and solids applications—such as a heavy-duty fully rubber encapsulated plug, a welded-nickel seat, grit seals and V-type packing—provide reliable operation. The enhanced 100% port eccentric ¼-turn plug valve design has additional features, such as full-size access covers and full-discharge ports. It was designed to provide both on/off and process control functions in municipal and industrial systems, and is suitable for inline pigging. 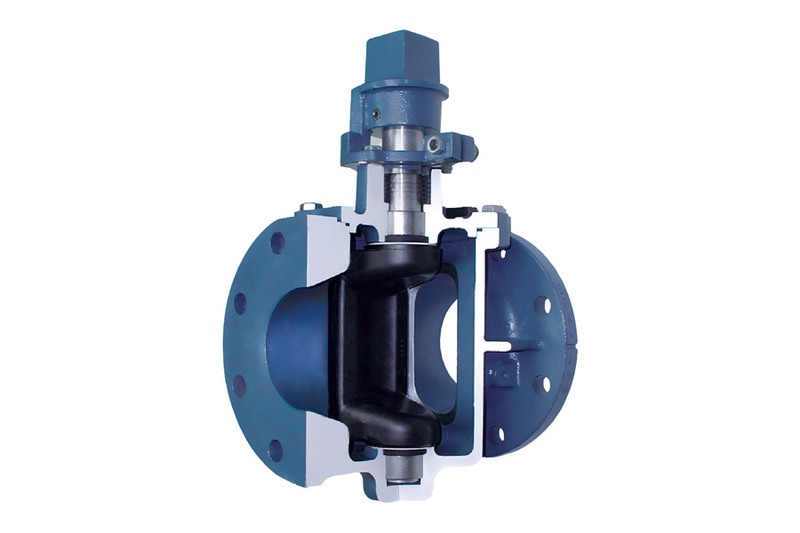 Ranging in size from ½ to 72 in., Cam-Centric plug valves are built using advanced manufacturing technologies and are certified to rigorous industry standards, such as NSF/ANSI 372 and AWWA C517, and feature ASME B16.1 flanged ends and AWWA C110 mechanical joint ends to assure reliable performance. The Cam-Centric plug valve is available with a wide range of actuation options, from simple lever operation to advanced pump control systems. Options include 2-in. operator nuts, worm gears, chain wheels, an electric motor and cylinder actuation. A wide variety of accessories, such as floor stands and extended bonnets, also are available. Fusion-bonded epoxy, rubber lining and glass lining coatings are available when necessary.